Genetics, the natural aging process, and even injury can impact the appearance of our faces, and as a result, our confidence. Fortunately, there are several surgical options that can help you rejuvenate or restore harmony to your face for a more balanced or youthful look. Regardless of your unique concerns, Dr. Matt Chhatre can work with you to determine the best treatment plan that offers subtle, yet striking, results that enhance your natural beauty. As we age, the skin on our face begins to sag as and lose its elasticity. A full facelift is a cosmetic procedure that can rejuvenate your entire face by tightening and removing excess skin and repositioning the underlying tissues. Once healing is complete, patients can expect to benefit from a better contoured facial structure and improved toning. Although a traditional facelift is a very comprehensive surgery, like all our procedures, it is designed to enhance your natural beauty, not alter it. If you are concerned with a loss of contour in a smaller, more targeted area, such as the skin on your cheeks, you may be a good candidate for a mini facelift. Less invasive than a traditional facelift, a mini facelift similarly tightens slack skin and underlying facial tissue, but with a fewer number of incisions. This rejuvenating procedure can be combined with other treatments for a fresher, more youthful appearance. Fat deposits can develop anywhere on the body, even the face, where they can compromise your appearance by hiding the beauty of your bone structure. Facial liposuction can help overcome this problem by safely and gently removing the excess fat with a very small, high powered cannula. Once the procedure has been completed, Dr. Chhatre will also sculpt the surrounding tissue to compliment the natural contours of your face and neck. The fight against aging just got easier with the advancement of cosmetic injectables. These noninvasive treatments are designed to significantly reduce or altogether eliminate the fine lines and facial folds that impact your confidence in your appearance. Dr. Chhatre performs the injections, including widely popular BOTOX®. During a consultation, Dr. Chhatre can help determine which treatment is best to rejuvenate your appearance. The neck is often the first part of the body to show visible signs of aging. Despite the advancements in noninvasive cosmetic procedures, like lasers and injectable fillers, these treatments typically cannot fully address aged or sagging neck on the neck. 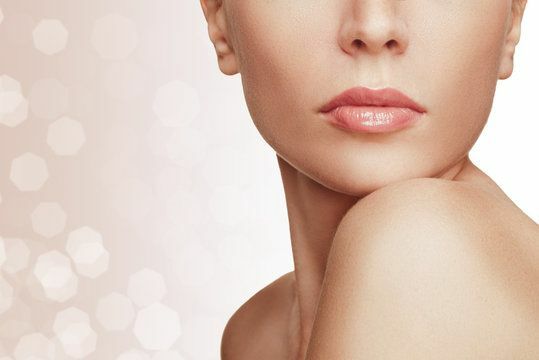 For these reasons, a neck lift, which can be performed to remove excess skin and tighten loose muscles, is often the optimal aesthetic solution. Liposuction is a popular cosmetic procedure used to remove stubborn pockets of fat, and it is often used under the chin and jaw line to provide a more youthful, better defined profile. Liposuction on the neck is often combined with a neck lift, which repairs weak muscles and tightens sagging skin. This combination of procedures allows our patients to achieve long-lasting results and a more elegantly contoured neck. Full, sensual lips are often considered an important characteristic of a beautiful face and a hallmark of youth. For patients with thin or disproportionately sized lips, lip augmentation with fillers can greatly enhance your features. This quick treatment allows for great control over lip volume and a gradual enhancement of the lips for a more natural look. The bio-compatible fillers rarely trigger an allergic reaction, and are very safe, though they will be absorbed by the body overtime, requiring treatment approximately twice a year to maintain results. 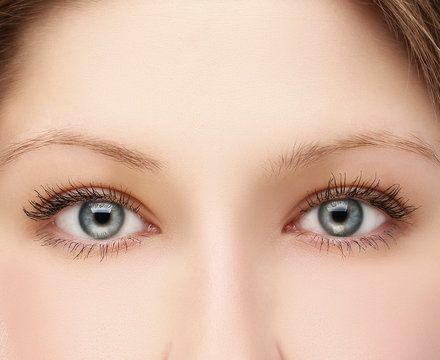 If you have excessive bags under your eyes or upper eye lids that sag, an eye lift, or blepharoplasty, may be a great cosmetic solution for you. This versatile procedure offers several benefits and can soften creases, remove drooping skin, and eliminate puffiness around the eyes so you appear more youthful and rested. Blepharoplasty can even help our patients whose eyelids obscured their vision. The earliest signs of aging often occur in the upper part of the face. 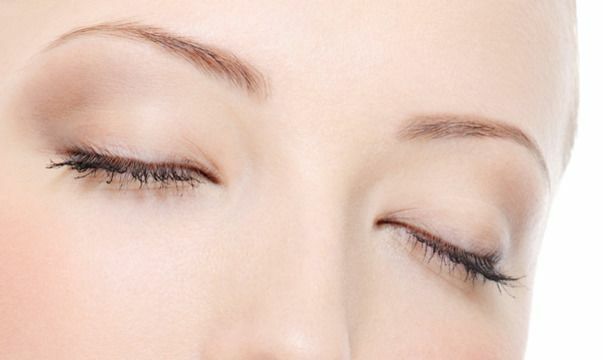 As the tissues of the forehead relax, the eyebrow can begin to descend, creating a tired appearance. Since the position of the brows is so closely associated with beauty and expression, this condition can be especially frustrating. A brow lift, or forehead lift, elevates the position of the brow and softens frown muscles during a minimally invasive surgical procedure. An undersized chin, like any other disproportionate facial feature, can dramatically impact the overall symmetry of your face. For patients who have a weak, sloping, or undefined chin, a chin augmentation can give you a more balanced facial profile. Dr. Chhatre will work closely with you to choose a chin implant that will help you achieve optimal proportions for greater harmony. Beautifully contoured cheeks, a feature we associate with youthful beauty, have a smooth curve that extends over the cheekbones and slopes gently inward again. As part of the natural aging process, we can lose this contour and the pleasing frame it provides for the face. A cheek augmentation, using implants or dermal fillers, can help you achieve an aesthetically pleasing contour and structure. Many people, adults and children alike, are unhappy with the size or shape of their ears. Protruding, asymmetrical, or drooping ears can affect the proportions of your face, making your features appear out of balance. Cosmetic ear surgery, also known as otoplasty, can improve the positioning and shape of your ears, dramatically improving your confidence in your appearance.